Unique, exciting and undeniably accurate, Tony’s Tom Jones Tribute act is the closest thing you will get to seeing Tiger Tom the Twisting Vocalist and hear growl forth his larynx of steel. This Tom Jones tribute act has been very popular since appearing on ITV’s series Stars in their Eyes. It was undoubtedly the pinnacle of Tony’s career-as tens of thousands applied each year and only a handful were picked to appear on the TV show. Not stopping to catch his breath Tony joined many of his fellow “Stars in their Eyes” finalists in a summer tour of Botulin’s holiday centres calling at Bognor Regis, Minehead and Skegness – packed out each evening with 3,000+ people. With his Tom Jones tribute act, Tony continued relentlessly-wowing massive open air festivals including Stour port Carnival and West Midlands Safari Park-not forgetting world famous Leicester Racecourse, Oxford Greyhound stadium, Hilton and Village hotels adorned by screaming fans! 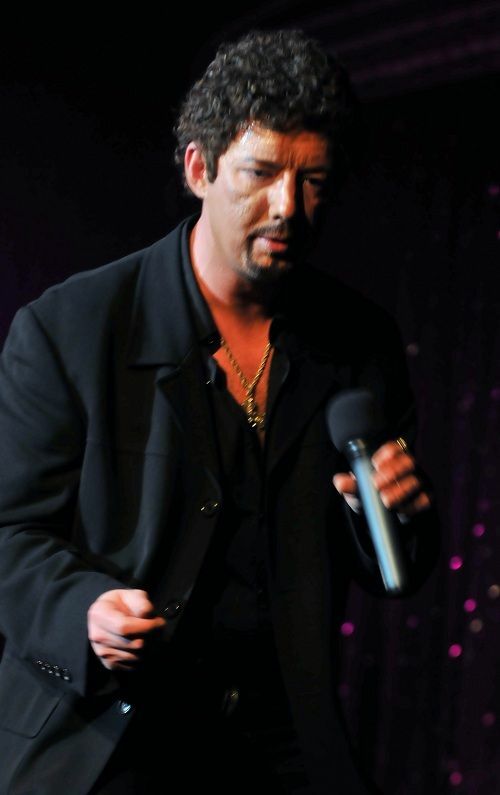 Not one for the quiet life – Tony regularly frequents Europe, Ireland and Scotland performing his award winning tribute act to his idol Sir Tom Jones where his show is idolized-and receives rave reviews in local newspapers. Tony’s song list includes; She’s A Lady, What’s New Pussycat, Ill Never Fall In Love Again, Delilah, Thunderball, Till, Leave Your Hat On, Green Green Grass, A Boy From Nowhere, Help Yourself, Sexbomb, Kiss, Love Me Tonight, It’s Not Unusual, Mama Told Me Not To Come, Im Coming Home, With These Hands, Without Love, Daughter Of Darkness, Venus, I Who Have Nothing and Many More! Tony can perform 1 x 60 or 2 x 30 minute sets.